Searching a Home to Buy? We offer all of our clients their own portal to the MLS via our Real Estate Mobile App. Search the MLS with up to date current information. 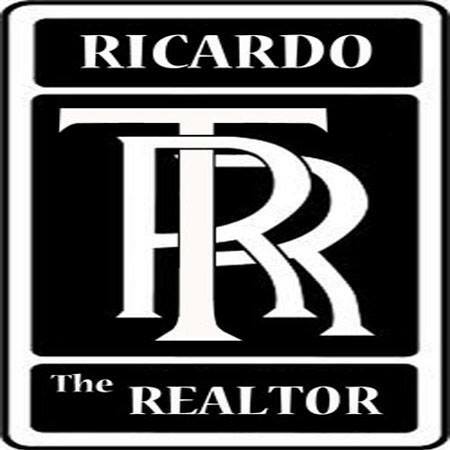 We utilize proven marketing techniques to obtain you the highest & best offer for your home. 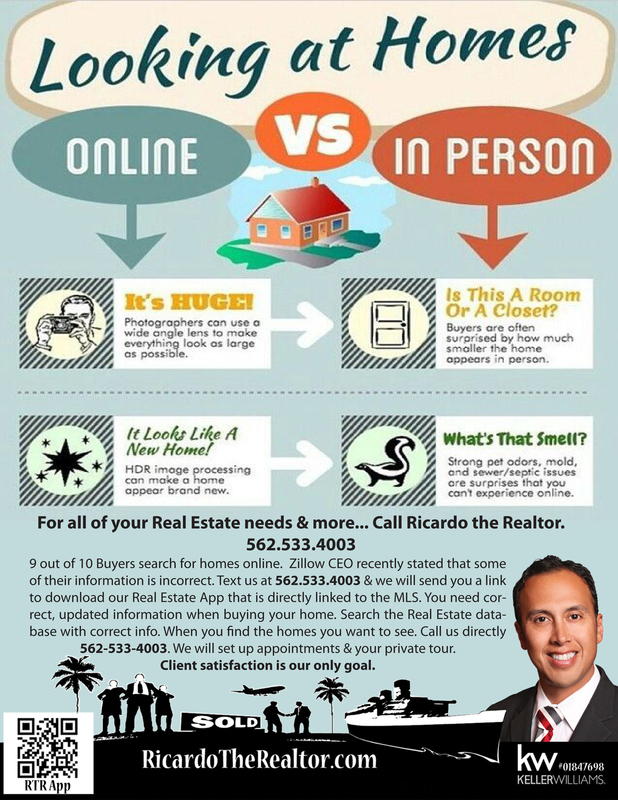 Gone are the days of placing a sign in your lawn, ad in the localnewspaper & inputting the info into the MLS. We use todays technology- via customized online marketing, our very own mobile app to get your home the exposure it requires to get you the best price. We market your home not only locally but world wide on our site that is translated over 19 languages. We can show you how our tech savvy approach will make a world of difference when we sell your home. Marketing at a much higher level is what we specialize in. This home features a great open floor plan. There are 2 bedrooms downstairs & the large private Master bedroom is upstairs with its own bathroom. There is a 4th room that is ideal for an office but is being used as a bedroom that is separate from the home. Custom pavers adorn the driveway, walkway towards the front door and back patio area of home. As you enter the home you will see an open floor plan with hardwood floors. Property features recessed lighting, upgraded windows, ceiling fans throughout the home. The living room is bright and welcoming. The kitchen has plenty of cabinet space, and it is equipped with a dishwasher, Thermador range/oven & beautiful farmers sink. As you enter the rear of the home you will find the spacious family room with vaulted ceilings. This is a great space for your family to enjoy family & friends as you host parties. You can access the tropical, landscaped back yard with pool on our hot summer days. There is a large hardwood deck outside and plenty of room for family bbq’s & firepit nights. 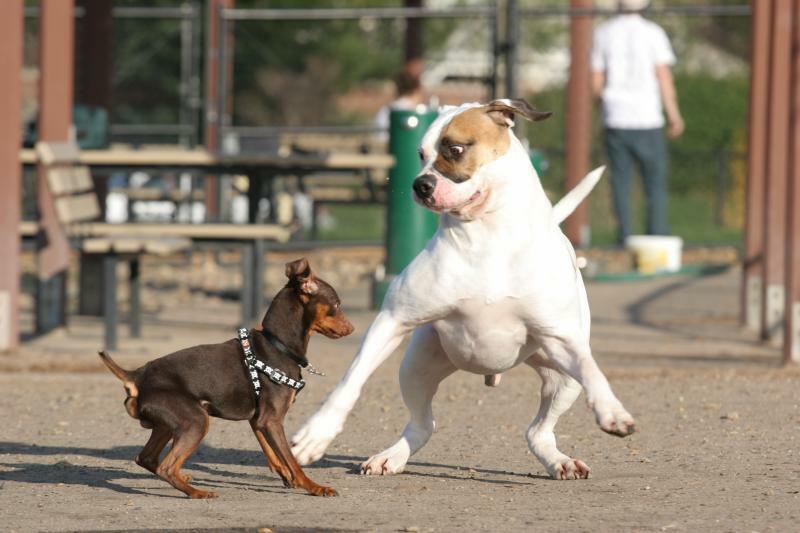 Stores, market, gym, schools- Cal State Long Beach, restaurants are all in walking distance. You have freeway access just minutes away. This Los Altos home has everything your family needs. Please call us to arrange your private showing of this beautiful home. Want to know the value of your home? Call us so that we can show you a superior marketing plan that will net you top dollar for your home. We use todays technology to benefit our clients. Long Beach Homes For Sale include these communities: Alamitos Heights, Belmont Shore, Belmont Heights, Del Lago, College Park, Carroll Park, downtown, California Heights, Bixby Knolls, Los Altos Homes, Naples Island, The Peninsula, Spinnaker Bay, Virginia Country Club, Bluff Park… Also Signal Hill, Lakewood and Seal Beach Homes For Sale. 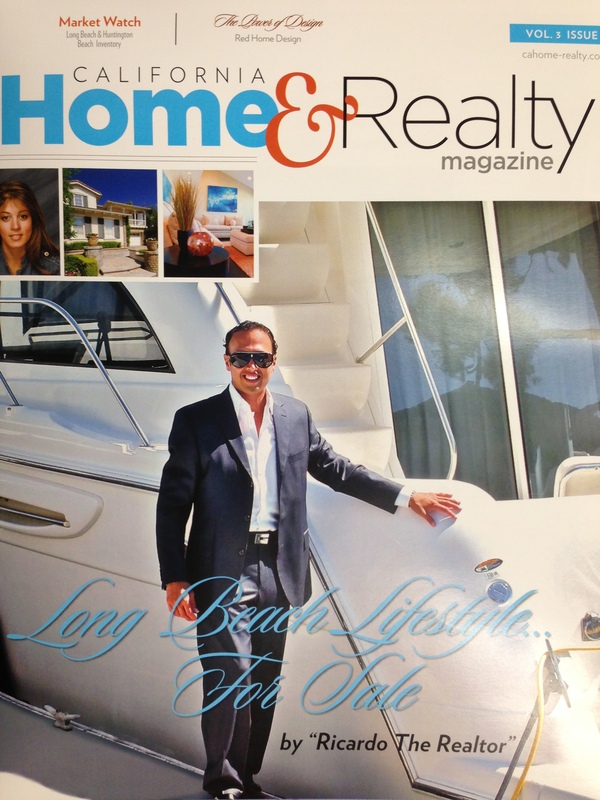 Top Long Beach Real Estate Team is ready to work for you. 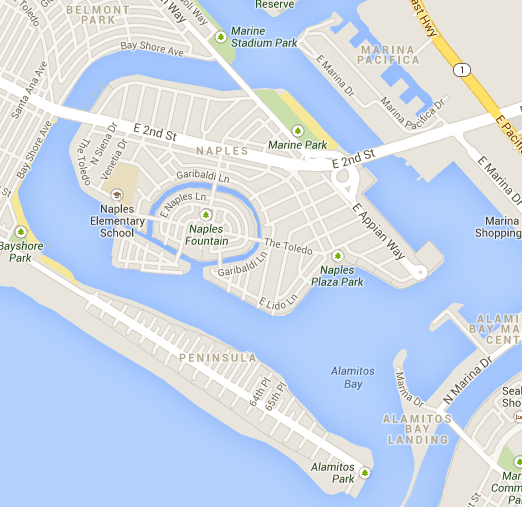 If you have not heard about the community of Naples Island in Long Beach you may be missing out. This 2 bedroom, 2 bath home is conveniently located at the heart of Naples Island. Home has a fireplace in the living room, dining area, indoor laundry, spacious rooms and large master bathroom. Walk or bike to everything if you choose. This friendly Island neighborhood boasts summer concerts, outdoor movies, Christmas light/boat parade, pancake breakfast & much more all for its residents. If you have children then you will be able to attend the finest schools in all of Long Beach. If you do not have children then come and enjoy the lifestyle. Naples offers award winning restaurants, shops and close freeway access. This home is really a gem and the location is the very best that Long Beach has to offer. You will love living here!!! Please call us at 562-533-4003 to set up your private tour. Download our very own Real Estate App onto your mobile device & get the latest accurate home information available.